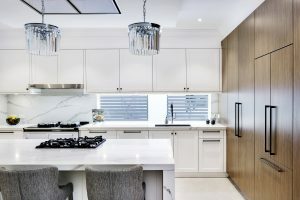 This kitchen would be a dream for any serious home cook! 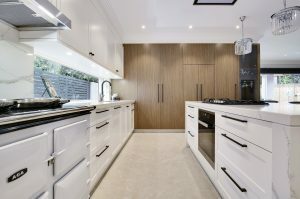 The warm tones of timber contrast with the white marble benchtops and white cabinet doors and panels, and black handles link both areas. 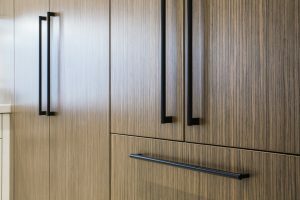 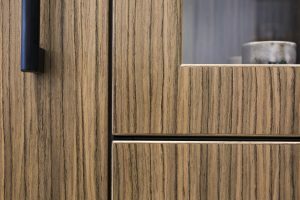 The Castella Flute handle finished in Matt Black features on the timber cupboards and drawers, and the Castella Micro knob 070.025.04 on the cupboards. 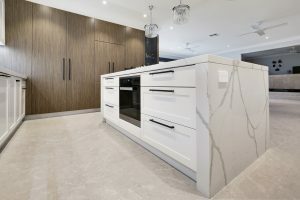 This timeless contemporary kitchen was Designed & Manufactured by Dan Kitchens Australia.